How to merge several video files into a single file? Sometimes you might want to quickly join several video files you have into one without the need to edit or re-encode them. 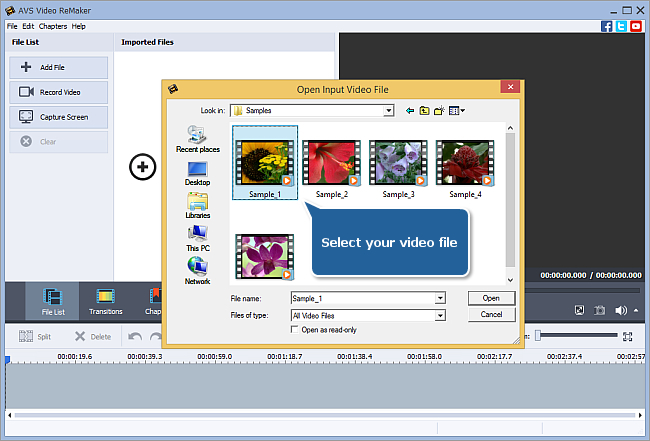 Using AVS Video ReMaker you can do that quickly and easily. It will let you merge several files into a single one automatically. You can also cut the unnecessary scenes from these video files before saving them. The same way load all the video files you would like to merge. If you would like to remove some loaded files click the unnecessary one with the mouse and press the Delete button above the Timeline. The highlighted file will be removed. To remove all the files added to the program use the Clear button. You can also cut out several fragments in different parts of the video clip - beginning, end or anyplace in the middle. Please read the How to cut out unnecessary scenes without re-encoding? guide to learn how to do it. After deleting all the unwanted parts of the video you can set the video file sequence. To do it please click the clip which place you would like to change with the left mouse button, the mouse cursor will change into a hand , then without releasing the mouse button move the clip left or right to the desired position. The same way you can change the place of any video clip. If you move a clip to the left so that it doesn't reach the left border of the previous clip, the clips will not change their positions but the Fade transition will be created between these clips. 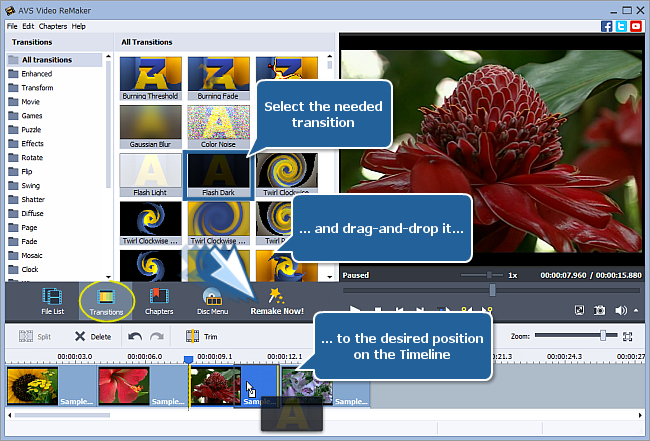 To add different transitions between your clips click the Transitions central button, select one of the available transitions and drag-and-drop it to the needed place on the Timeline. Note: if your video files can be split by keyframes only, it is impossible to add a transition. In this case the Transitions button will be disabled. 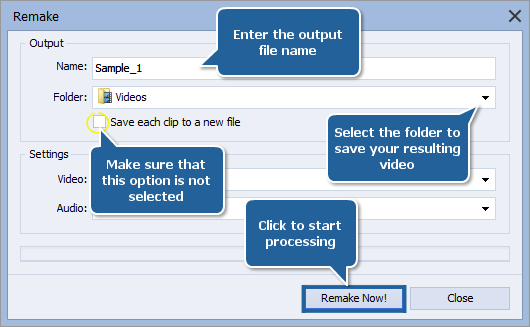 In the Output section of the Remake window enter the output file Name into the appropriate field, select the Folder to save your resulting video and choose one of the available Video/Audio formats in the Settings section. 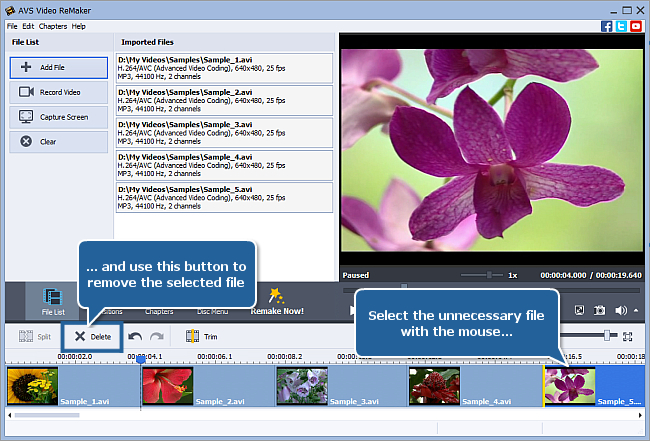 If you decide to save your video files into one make sure the Save each clip to a new file option is not selected. And that's just it - all your home video files have now become a part of a single file.